Hybrid, electric and hydrogen fuel cell vehicles accounted for 38.7% of Norway’s new car market during the first six months of 2016, with volumes up a third on the same period of 2015. The Norwegian passenger car market grew 4.5% year on year, according to figures from the Opplysningsrådet for Veitrafikken (OFV), with 77,749 new cars sold in the first six months. Of those, 30,107 featured some form of electric drive, compared to 22,479 a year ago. The large majority of the alternative drivetrain vehicles registered in Norway so far this year have been plug-in hybrid or electric models. Almost a third (28.3%) of new cars can be driven using mains-supplied electricity, split almost equally between plug-in hybrids and fully electric cars. Last year, 80% of plug-ins registered in Norway were fully electric. However, there’s been a shift in demand. Pure electric vehicles – which includes eight hydrogen fuel cell vehicles – accounted for 15.1% of the market (11,752 vehicles) in the first half of 2016. That’s a reduction of 1,916 units compared to 2015, when 18.4% of new registrations were electric. Most of the growth came from plug-in hybrids. A total of 10,279 PHEVs were registered during the first half of the year, compared to 3,827 in 2015. 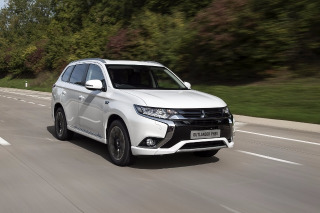 That’s a 168.6% increase, and PHEV sales stand to outstrip pure electric models during the second half of 2016, based on current growth figures. Sales of conventional hybrids – without a plug-in range – numbered 8,076 units, up 62.0% on the 4,984 registered during the same period of 2015, according to the OFV’s data.